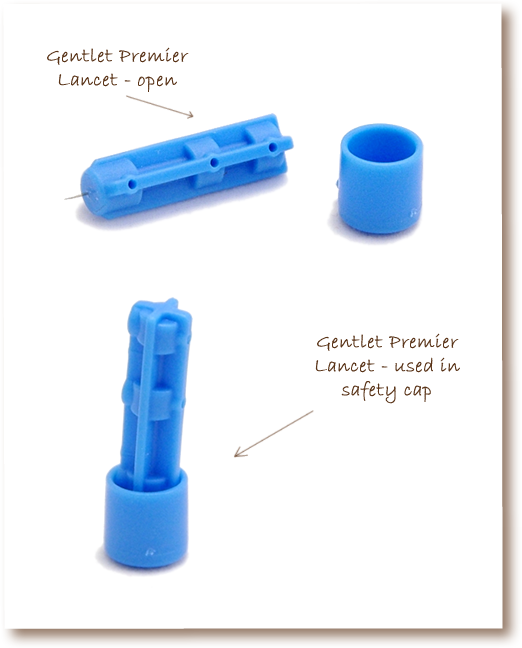 Easy to use Gentlet Premier Lancets fit into the CareSens N lancing device, enabling easy extraction of a small 0.5 ㎕ of blood from your cat for testing. Easy to use and designed to be virtually pain free, Gentlet Premier Lancets fit into the CareSens N lancing device that comes with your CareSens N Blood Glucose Meter, enabling easy extraction of a small 0.5 ㎕ of blood from your cat for testing. If you want your kitty to experience only the best in glucose monitoring with the least discomfort, then you need Gentlet Premier Lancets. These precision ground 30 gauge needles ensure minimum discomfort or tissue damage. 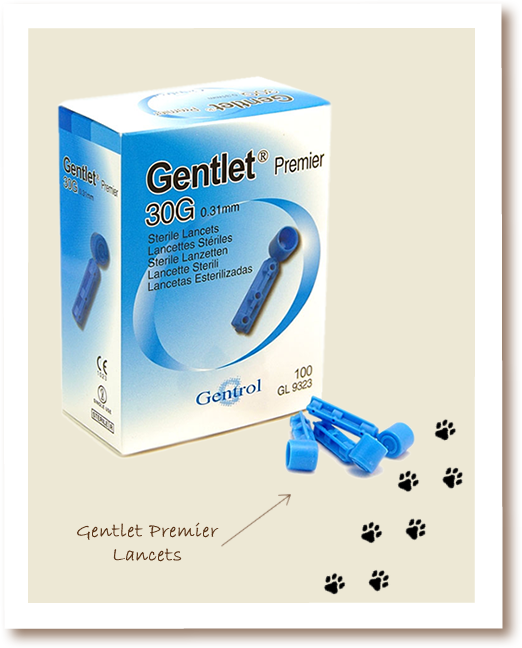 They are FDA approved and compliant to ISO 13485, so you know your kitty cat is in good hands with Gentlet Premier Lancets. If you already test your diabetic cat using another lancing device never fear Gentlet Premier Lancets also fit into many other Glucose Testing devices including Optium, Xceed, Freestyle, CareSens, Duo-Care, True Track, Sensocard and more. 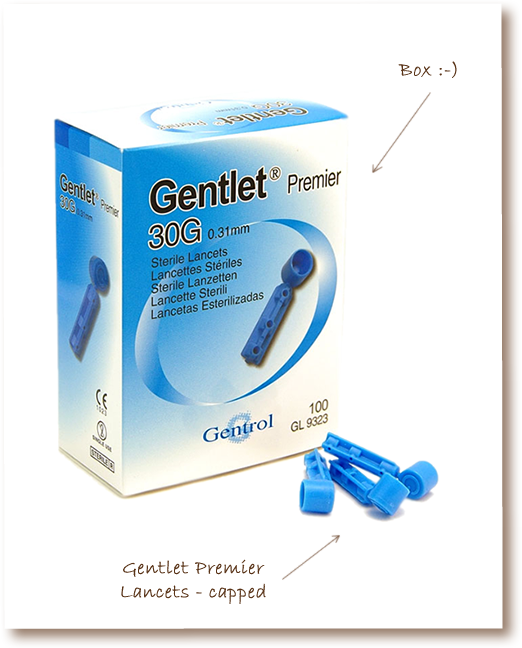 Gentlet Premier Lancets come in a pack of 100, and with a shelf life of 5 years you can be sure to always have one on hand when you need it.